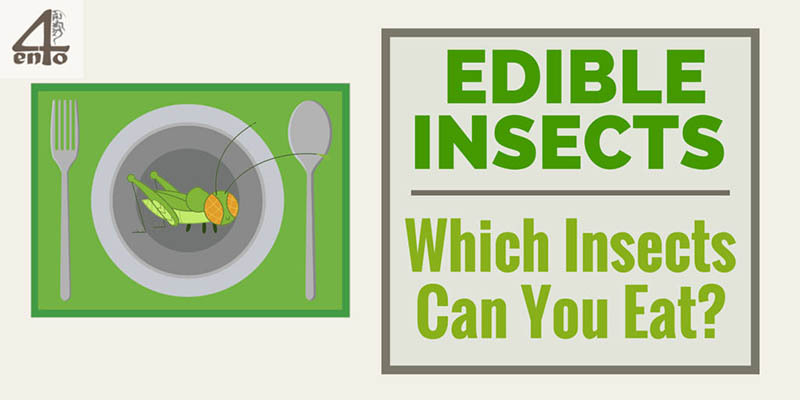 Edible Insects List – Which Insects Can You Eat? There are over 900 thousand documented types of insects in the world, but of course not all of them are edible or readily available. Below is a list of the most common edible insects (or bugs if you prefer) and why you should be trying them. Even if you do not believe insects are for human consumption. This is a small but useful list of the edible insects/bugs available as products at the moment. One of the insects leading the way in the edible insect movement is the cricket. They contain a reasonable amount of protein in their raw form (about 13%) but excel when it comes to powders and flour with nearly 70%. Grasshoppers are one of the most commonly eaten insects around. And in places like Mexico, where they are considered a delicacy and more expensive than other meats. they are eaten with gusto. In fact, grasshoppers are incredibly high in protein with some species in Mexico (the Orthoptera) having up to 77% protein, which is far higher than most other meats on the market. Want to try some insects? Check out these delicious Insect Recipes and Recipe Books. This is another commonly seen insect in the edible category, with the actual larva being used in most cases, not the worm itself. In fact the mealworm is actually a Mealworm Beetle or Darkling Beetle (scientific name Tenebrio Molitor). And they are quite easy to raise and are also very high in protein (approximately 20% by weight). There is also a huge range of insects that are being eaten on a daily basis in the developing world. Important: Don’t try raw insects at home! We always recommend to cook insects before eating them. Many of these are eaten raw or cooked, but in the most cases unprocessed. People in these countries are used to eating them in their diet and do not need convincing like we do. Here are some of the common insects you will find if you ever travel to these countries. Commonly known as something sustains the Aborigines in Australia, witchetty grubs are a wood-eating moth or beetle larvae found in the deserts. These are eaten in parts of Africa as well as some other continents around the world. These can grow to over 3 inches and are very high in protein, so no wonder they are popular for the locals. Cicadas are a highly nutritious treat that are sometimes called the “shrimp of the land”. Previously eaten by Native Americans, they are also consumed by a variety of other cultures. Something we assume is just used to make silk, the silk worm is also regularly consumed. They are also high in nutrients such as fat and protein, they also contain plenty of calcium, magnesium, and B vitamins. Mexicans seem to be fond of insect eating with not only the crickets hand harvested from crops but also their own form of caviar! Escalmoles are very common in Mexico and can even be found in your Taco, if you are not careful! The Japanese consider these to be a bit of a delicacy, so if you are ever in the neighborhood, try them out. Very common in many parts of South East Asia, the bamboo worm are often likened to potato chips in taste.